The University of Kajaani, located in central Finland, is the country’s smallest university measured by student numbers. Situated in a rural area it offers its 2200 students various fields of study, among them a highly specialized program on data centre education, with a yearly intake of 20 students. Although small the study program offers top quality. It is considered Finland’s best data centre learning environment and has been shortlisted for Best Programme for Data Centre Training and Professional Development 2018 by the Datacloud Europe Awards 2018. The students run their own mini data centre, but at the outset of the study programme connectivity started to become an issue. The connectivity from the data centre to the outside world was inadequate, leading one of the members of the teaching staff to compare the students to “Olympic athletes competing on a local race track”. But as Kajaani University wanted to offer its students a realistic, large-scale learning environment, it turned to Finnish research & education network CSC/Funet for help. CSC/Funet was more than willing to assist Kajaani with high-speed connectivity, and now the data centre has a 1 Gigabit dedicated link connecting it via its own firewall to the CSC/Funet infrastructure. This enables the students to do much more than just theoretical work. They work with real-world tools, and are now able to do learning tasks in an internet operator level environment. Each student now has his or hers own “swimming lane” with access to a dedicated part of the data centre and a personal IPv4 address. And they handle lots of real-world challenges during their education. 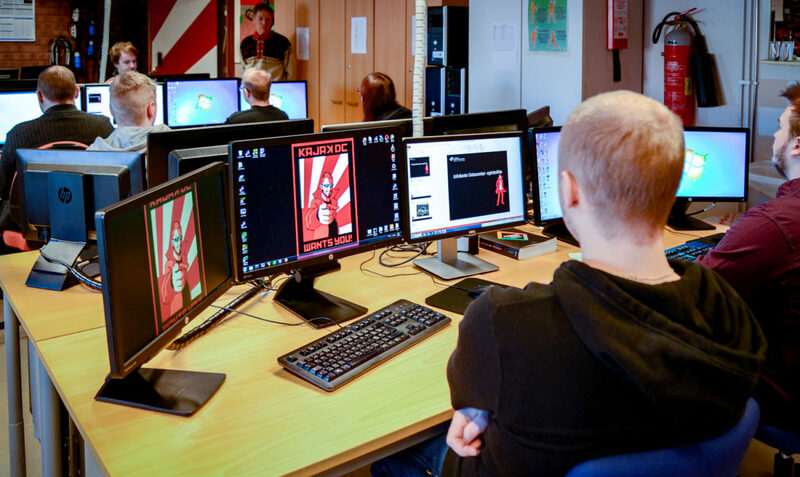 Teaching staff gives each student individual problems to solve, many of the problems coming from local companies or from other students, many of them connected to Kajaani university’s gaming programme, the leading game education in Finland. The students have worked with a wide range of real-world challenges using the hardware and connectivity available to them, like collecting data from ABB industrial robots, network testing of new console games, planning of a SharePoint-platform based Intranet for the city of Kajaani, planning of geocaching for the local Sokos Hotel Vuokatti, network speed test of virtual machines for the company Herman IT, and much more.